The new 4 Series Coupe and a refreshed 5 Series have been caught testing before their upcoming debuts. 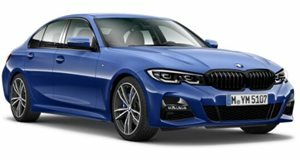 For the first time since the 3 Series debuted way back in 1974, BMW is actually making a real effort to distinguish the styling between the sedan and its upcoming coupe version. For starters, the coupe is being rebranded the 4 Series, and judging by the concept that premiered at Detroit last January , it’ll feature a more aggressive exterior design than the more conservatively-styled sedan. Now our spy photogs have sent us some new photos of the upcoming 4 Series, revealing the interior for the first time. Like the concept, the 4 Series will carry a more stylized front fascia, including new air vents in the front fenders. Along with the 4 Series, we’ve also received some images of the refreshed 5 Series sedan without any camouflage. Take note of the sleeker headlights, smaller kidney grilles and the completely redesigned lower front fascia. It’s rumored the updated 5 will also receive reworked steering and a more powerful engine. A plug-in hybrid model is also in the works. 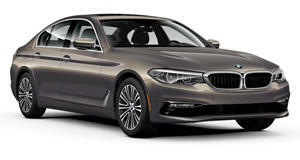 Expect to see the facelifted 5 Series revealed this summer, with the 4 Series likely to debut at Frankfurt in September.